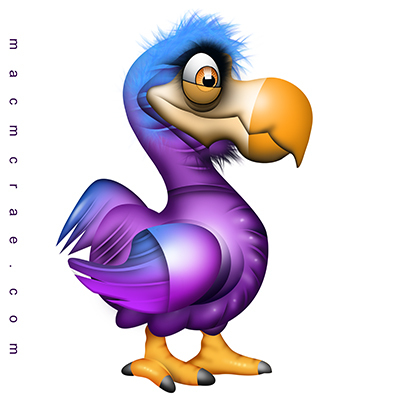 This is a Dodo. His name is Michael Tennant. He walks around the forest with no fear and no marketable skills. He is unable to function in the world. Nature is harsh and unforgiving and his brain is soft like a puppy’s belly. Michael is the last of his species and he is unable to understand the significance of extinction. This is a unicorn puking a rainbow. It is one of the internet’s oldest memes. Though I support the LGBT community it has nothing to do with gay rights. It was originally coined to reference the gaudy dayglo and pez colors splashed on packages in Japanese culture. “Yo that rack of Japanese candy looks like a unicorn puked on it.” It succinctly represents how I feel about all consumerism. It is gaudy, garish, loud, obnoxious and it burns a little when it comes back up after a bender. I love internet culture – it is world culture. I love cardinals. I used to watch them endlessly. Their beauty is gaudy in a world that rewards drab colors that would let them blend in to hide from predators. They are like a bloodred beacon against a snowy background – it is the most amazing contrast in winter. It is cool to think that they were designed to be this beautiful by female cardinals over thousands of years. They are tufted finches that eat seeds. Their beak is a neon orange wedge designed for tough seeds. This is an Eastern Bluebird illustration. They used to come to bird houses in my grandma’s backyard. You could sit and watch them work constantly to build a nest and then feed their young. They would work as a team – tirelessly. I once found a dead male under a feeder in the coldest part of Winter. Turns out that they can actually freeze to death. It must be brutal to survive in the wild as a tiny bird. I love birds so much. It is cool how they were sculpted by evolution to ride the wind like some sort of scifi machine. It also made them beautiful – with graceful shapes that reflect their purpose. Male songbirds have the most bright and beautiful coloration – chosen by female birds – for no other purpose than beauty. It is crushing that people have built giant skyscrapers that that kill millions of songbirds a year – as they fly into them blindly. I hope we can figure out a way to save them. Leo is a wise old blue owl who has an addic­tion to tech­nol­ogy. His favorite cur­mud­geon is John C. Dvo­rak. I lis­ten to Twit.tv everyday to keep up on technology news.